One of the important virtues if you will that a photographer needs to have is patients. 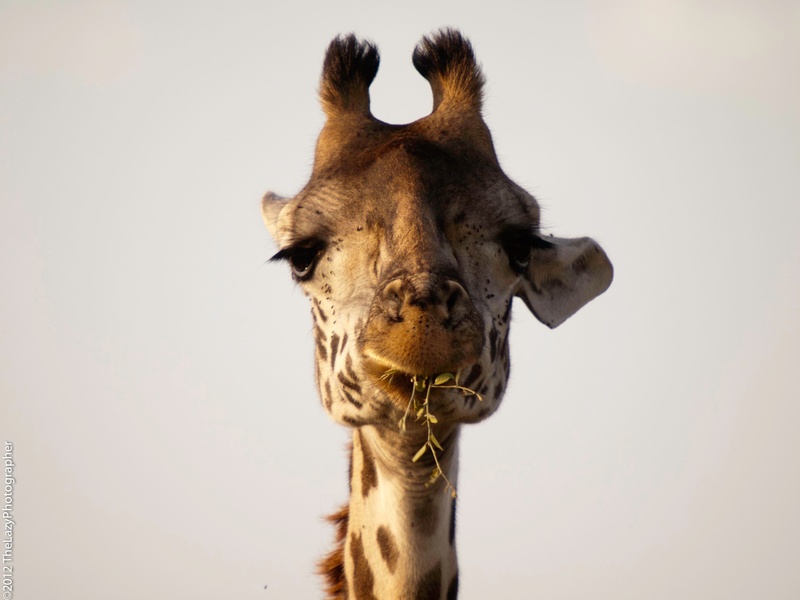 For instance let’s take the photograph of this Masai giraffe. So this is herd of giraffes was grazing peacefully on the side of the track. We stopped to take photographs. While clicking away I imagined a frame where I would have the giraffe look straight into my camera. So I asked the driver to realign the van as close as possible without going off the track and without disturbing the animals. Once we were in position, I looked at all the animals in the herd, chose one of the young males as my subject and set my camera up on the beanbag, composed the frame, focused on him and waited. I got a few good pictures of him in about 20 to 25 minutes. After which I had to wait for another 10 minutes before I was able to get the desired or the imagined frame. So, I would’ve waited 30 to 40 minutes for this frame.I have known photographers who have waited for hours and sometimes even months to get that single frame they had in mind. to tell people why this blog – which is to be able to share as I learn (some day I hope to have a lot of followers), to repost interesting lessons and posts and some day start posting my lessons as well. I am a hobby photographer, calling myself a lazy photographer because I am SO VERY BEHIND in my post processing. Now a serious student of the art and trying to make photography pay by taking up assignments in Food, Product and People photography to fund my traveling without dipping into the salary from my day job where I am corporate whore! You can read my travel blog here – Long Way Home, another blog which I hope to update regularly! 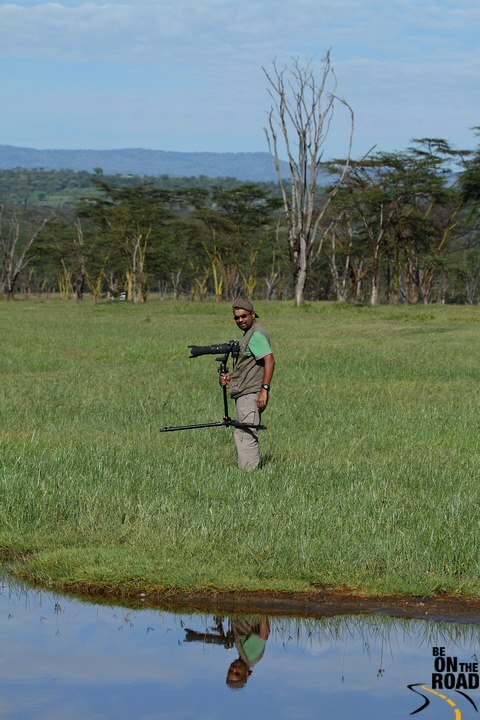 the lazy guy at lake nakuru in Kenya – Aug 2012. Pic Credit : Be on the Road with Sankara! Get to know when I post! Click to follow and you'll know what all I am upto - in trouble or not!